MCAT is computer based test. 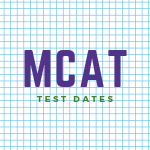 All MCAT exams start at 8:00 AM local time. Scores are released by 5:00 p.m. ET on the scheduled date. MCAT can be taken up to 3 times in one year (4 times in two consecutive year and up to 7 times in lifetime). Around 95,000 students take MCAT every year (around 24% students are repeaters).